Herbert Potts, affectionately known as Bert, was born on 1st December 1897 in Nether Alderley the son of Edward Potts and Lucy Salthouse. 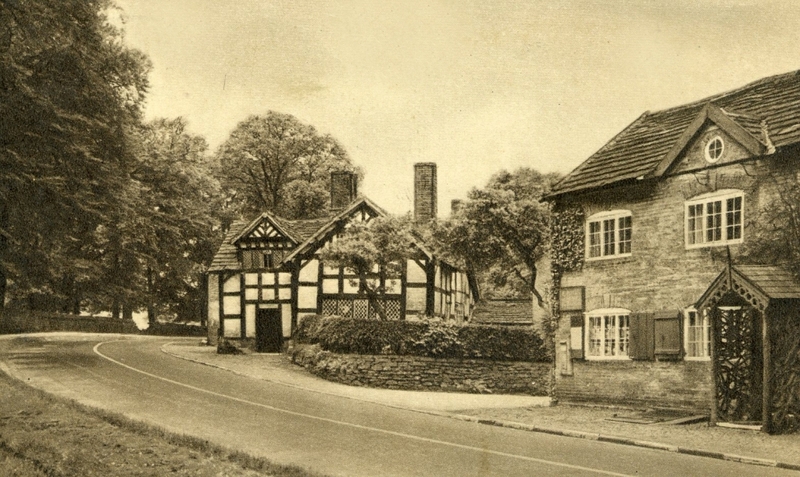 Bert’s father, Edward Potts, known as Ted, was born in Over Alderley c1865 and was baptised at Nether Alderley on 25th March 1865; he lived all his life in and around the village of Nether Alderley. Bert’s mother, Lucy Salthouse was born at Soss Moss in 1859 and was baptised at Nether Alderley on 15th May 1859; she also lived all her life in and around the village of Nether Alderley. Ted and Lucy married at Nether Alderley in 1895. Almost directly opposite the Mill was a row of cottages; the end cottage on the corner of Main Road and Church lane was the village shop run by Annie Salthouse and her younger sister Lucy Salthouse. 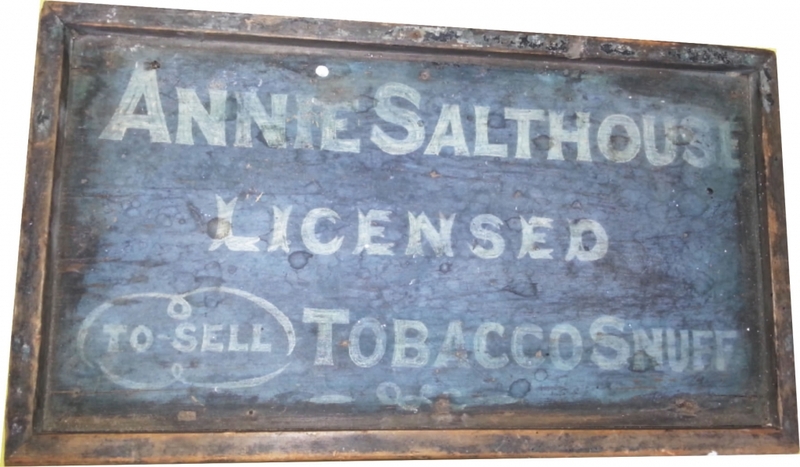 In 1881 Annie was the shopkeeper, grocer and dressmaker and Lucy, who was 22, was the assistant shopkeeper. Annie lived and worked there from soon after 1875 until 1906 when she died. Lucy and her husband, Ted, eventually took over the tenancy from Annie Salthouse. The third cottage was occupied in 1901 by Ted’s mother, Martha Potts and two of her adult children whilst the Worth family of aunts and cousins also lived close by, so Bert and his younger sister Winifred enjoyed their young lives in the centre of a close knit village community. 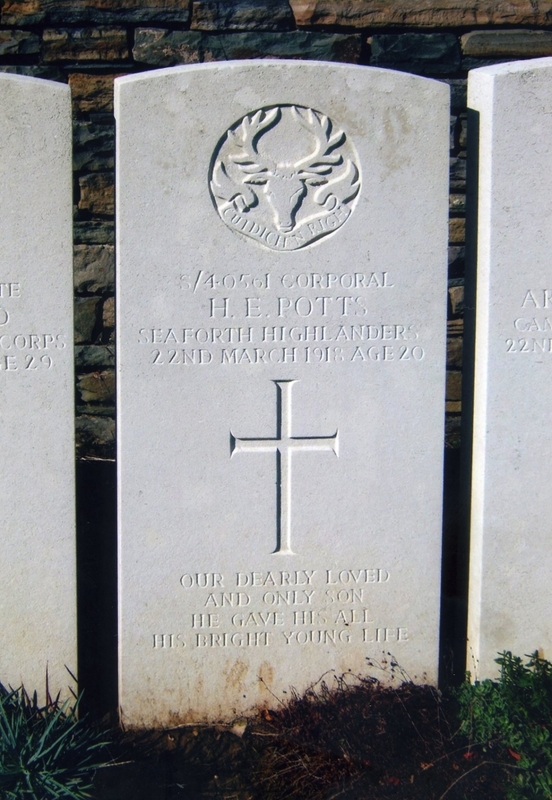 The Great War of 1914-1918 took many young men from the village, including Herbert Potts. Herbert enlisted with the 9th Battalion Seaforth Highlanders and went to fight in the trenches in France. By March 1918 he was a Corporal. On March 21st the Battle of St Quentain began when the Germans began a new offensive, pounding the British troops with heavy artillery fire and shells for over 5 hours, the British responding with artillery fire of their own. The firing stopped overnight. The morning brought thick fog but, when it cleared, the Germans resumed their offensive. 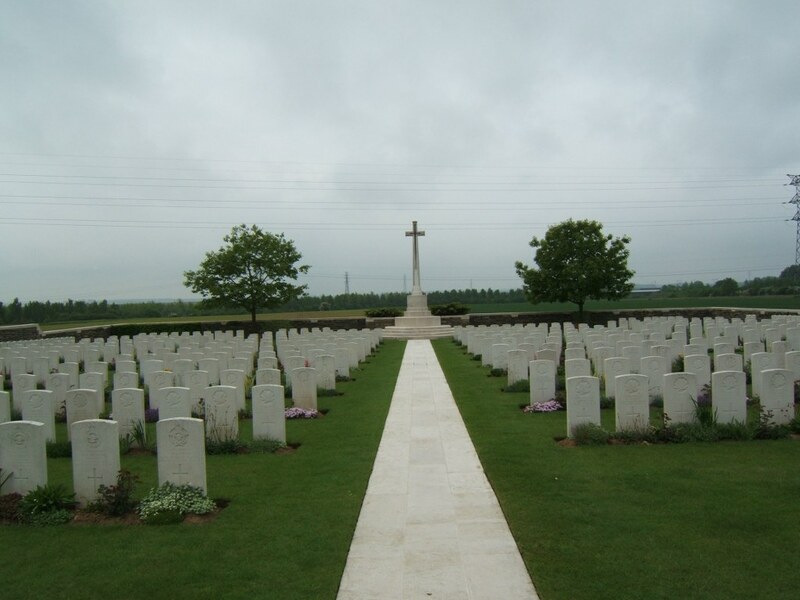 Herbert Potts was fatally injured in this onslaught and died of his wounds on March 22nd, 1918. He was 20 years old. Lucy died on January 24th, 1934, aged 75 and was buried in St Mary’s Churchyard. Edward Potts later married Alice Simpson, they continued the tenancy of Church Cottages and Alice kept the village shop. Edward was always closely involved with the church and was presented with a beautiful inkwell in the shape of a bell in appreciation of his 50 years as a bellringer at St Mary’s. Edward Potts died on 26th July, 1947, aged 82, and was also buried in St Mary’s churchyard.